When you think of February you may think of winter...still. Or, you may think of love, with the most romantic holiday of all. Are you going out with your significant other, and have no clue what to wear? Here's your guide to looking amazing for your Valentine's date. Yes, dresses are always in style, but what's hot now are skirts. 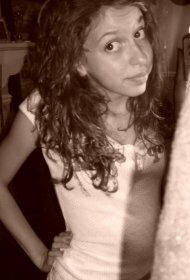 Now, I'm not talking about denim minis or long maxis. Bubble skirts are so cute and flirty. Forever 21 has great skirts, for an even better price! 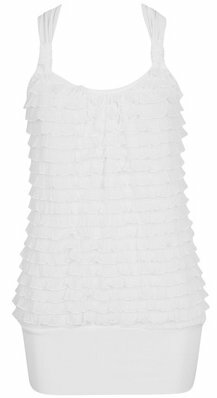 Bubble skirt available for $29.00 at www.forever21.com or your local store. 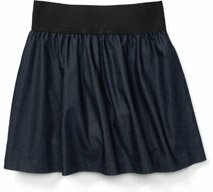 Navy skirt available for $12.00 at www.walmart.com or your local store. Plaid skirt available for $17.00 at www.target.com or your local store. Top available for $17.80 at www.forever21.com or your local store. Full outfit available for $95.00 at www.forever21.com or your local store. Now, shoes. Heels are great on any occasion. Matching your shoes to your skirt is so chic, in my mind at least. A good color would be black, because it goes with everything, and adds sophistication to your look. If you're not comfortable wearing heels, flats are flirty and fun. Either way, you'll look amazing. 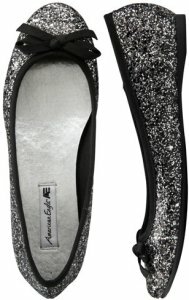 Flats available for $13.00 at www.payless.com or your local store. 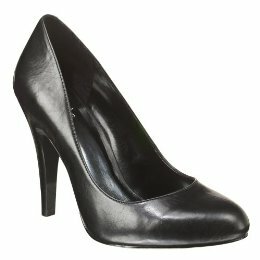 Heels available for $30.00 at www.target.com or your local store. Maybe you don't want to wear a skirt, so you'll feel more comfortable wearing pants. Trousers are very cute and stylish. The tops and shoes mentioned above will look great with trousers also. If you think you'll only wear them once, remember, they look great at work also! Black trousers available for $24.80 at www.forever21.com or your local store. Grey trousers available for $39.50 at www.ae.com or your local store. Navy trousers available for $20.00 at www.ae.com or your local store. To complete your look, you need to add some great accessories. Rings add a feminine touch to your look, pearl necklaces add class, and anything else makes your outfit look even more amazing. If you want to have a bag, but you don't want your daily tote, try a wristlet or clutch. They are small, but hold the necessities (money, lip balm, keys, etc.). 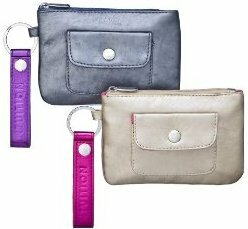 Wristlet (left) available for $14.00 at www.target.com or your local store. 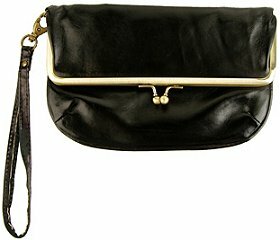 Wristlet available for $8.80 at www.forever21.com or your local store. Necklace available for $6.80 at www.forever21.com or your local store. Bracelets available for $20.00 at www.target.com or your local store. Now you don't have to worry about whether you'll have an amazing outfit for your Valentine's Day date, whether it's with your significant other or your best friends. And, of course, there are always other options for you to choose from. Have a great Valentine's Day!